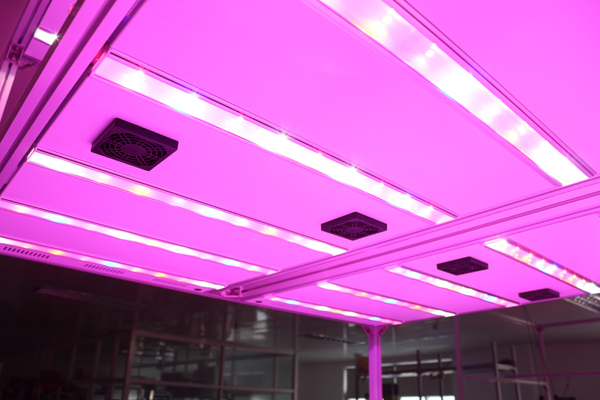 PGL-Box is the basic panel light for PARUS Plant Factory System and Café Farm unit. It is the simplest lighting solution for standard multi-layer system, and also can be used as single light panel. PGL-Box gives evenly blended light, and you can change its light recipe by dimming Red and Blue light separately. Moreover, it is easy to install: the power cable can be easily connected by cable jack. 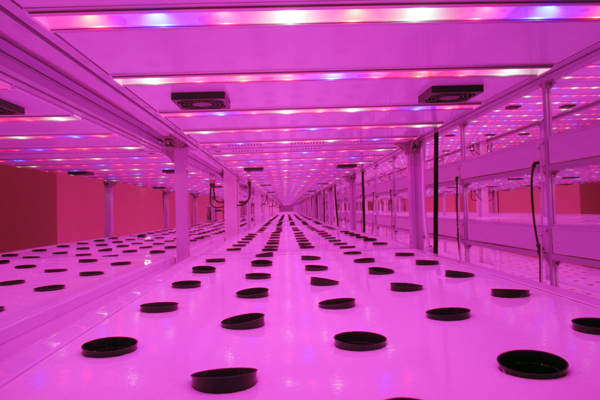 The best option is wireless dimming control and water cooling system for plant factory. ► General purpose – It can be used for all phase of growing: from germination to harvest. 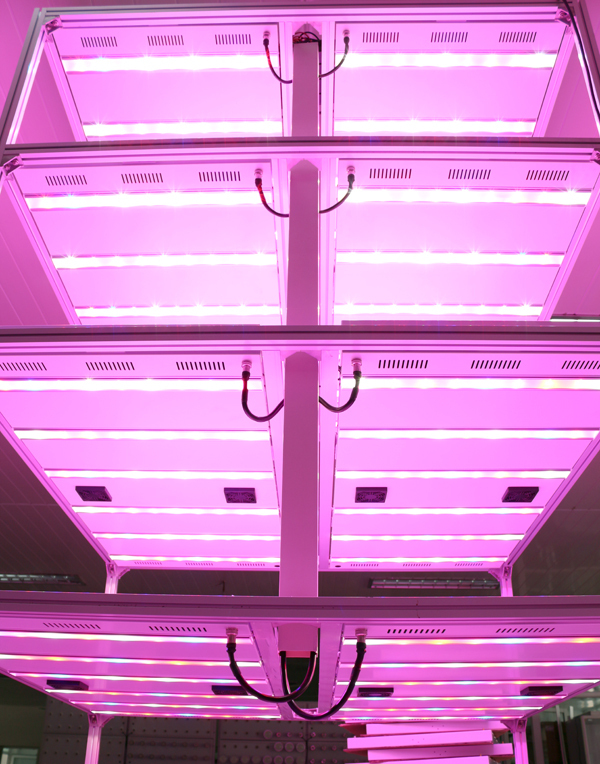 ► Standard panel light – It is a panel light of standard size for Plant Factory System/ Vertical Farm. ► Effective wavelength and proportion – Its light is verified and proven through tests. 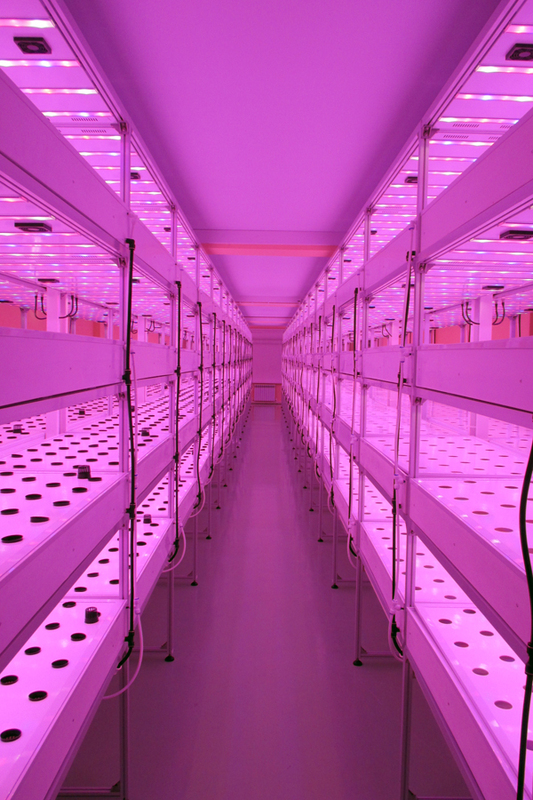 ► Red / Blue separate dimming - Light proportion can be changed depending on growth phase of plants. ► Uniform color blending – Long flat transparent covers make even and well blended light distribution. ► High light intensity – White panel/white tray cover reflects light, can provide high intensity of light. ► Active heat sink – It makes active cooling with fans on panel, which can make heat not be transferred to water tray above light, and also make downward air flow in growing space. ► Easy installation – The power cable can be easily connected by cable jack. 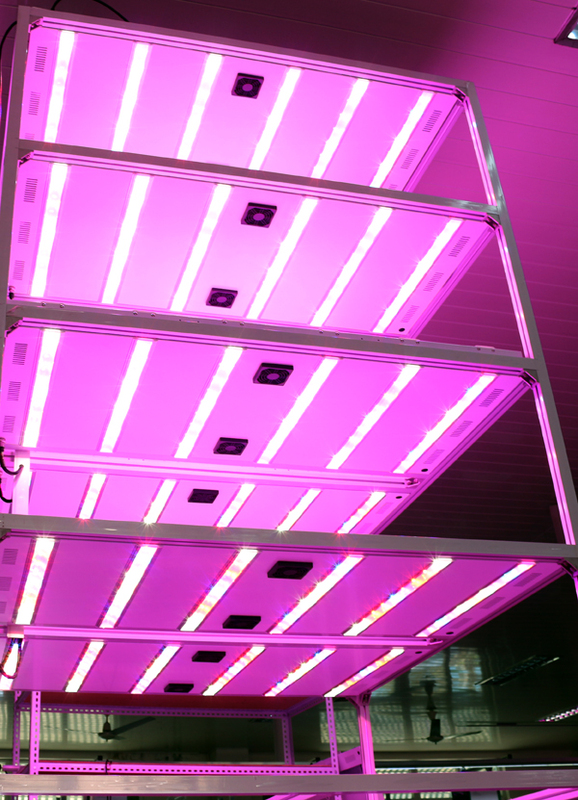 ► Water proof – It is designed for Plant Factory System, safe with hydroponic/ aeroponic culture system.